(Bloomberg) -- The U.S. is seeking to highlight the growing humanitarian crisis in Venezuela at the United Nations after its earlier bids to call for new elections faced stiff opposition from veto-wielding rivals Russia and China. The U.S. called for the UN Security Council to hold a meeting on the deteriorating situation in the Andean nation, according to an official with knowledge of the request. 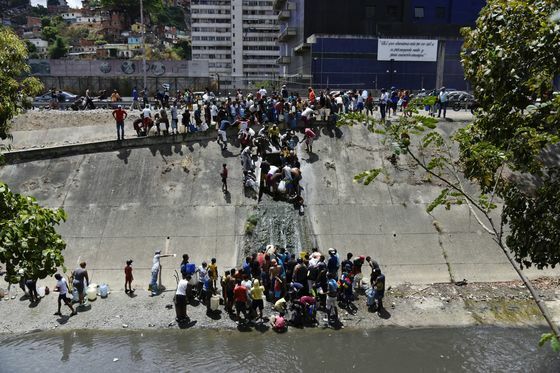 The move came as a new report said that Venezuela requires a full-scale UN response to address increasing levels of food insecurity, disease and shortages of medicine. The study published Thursday describes the spread of vaccine-preventable diseases, such as measles and diphtheria, rising infant mortality and sharp increases in the transmission of infectious diseases including malaria and tuberculosis. Child malnutrition is widespread, according to the report by researchers at Human Rights Watch and the Johns Hopkins Bloomberg School of Public Health. In a Security Council meeting earlier this year, the U.S. sought to lead a coalition of nations to isolate President Nicolas Maduro’s regime and shore up support for Juan Guaido, the opposition leader who was declared interim president by country’s National Assembly. But a U.S. resolution calling for free and fair elections was stymied by Russia and China, who have long been allied with Maduro’s government. A new focus on the humanitarian crisis is a way to keep the issue on the table even as political schisms persist. Growing calls to step up humanitarian assistance to Venezuela come after months in which U.S. efforts to deliver aid were blocked by Maduro’s government, which has called the aid effort part of an American bid to overthrow his regime. Human rights and aid groups have decried the politicization of food and medicine aid as millions of Venezuelans suffer. 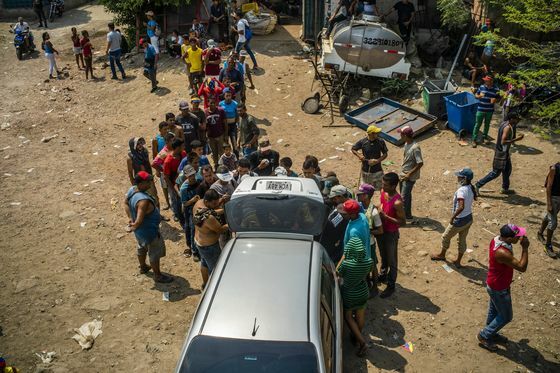 To address the crisis, the report calls on UN Secretary-General Antonio Guterres to publicly declare that Venezuela is facing a “complex humanitarian crisis,” a move which would allow the world body to deploy its various agencies to provide more assistance to the Latin American nation. The report also called on Guterres to work to ensure Venezuelan authorities grant access to UN groups seeking to deliver humanitarian assistance. Michael R. Bloomberg, the founder of Bloomberg News parent company Bloomberg LP, is an alumnus and supporter of Johns Hopkins University, a co-author of the health report. International groups are increasingly seeking ways to bring aid to Venezuela through politically neutral channels. In late March, the Red Cross said it will begin distributing aid inside Venezuela to about 650,000 people. Maduro has sought to deny that Venezuela is beset by shortages and a broken health care system. But Carlos Vecchio, Guaido’s envoy in Washington, said that any aid sent via international groups risks being misused by the Maduro regime.